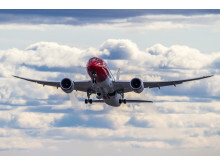 Norwegian has welcomed news that its British subsidiary ‘Norwegian UK’ (NUK) has been given tentative approval by the U.S. Department of Transportation (DOT) for a foreign air carrier permit. Norwegian (NAS) today reported its second quarter results for 2017. The pre-tax result (EBT) was 861 million NOK (£80.5 million). 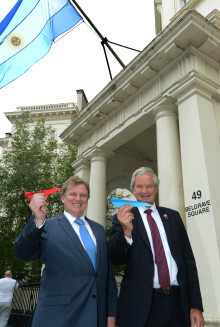 CFO of Norwegian, Frode Foss has decided to leave the company. Vice President Investor Relations, Tore Østby, will take on the position for an interim period. Tore Østby joined Norwegian as Vice President IR in 2014. 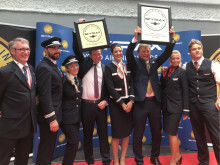 Norwegian was today named the ‘World’s Best Low-Cost Long-Haul Airline’ for the third consecutive year and ‘Best Low-Cost Airline in Europe’ for the fifth year in a row at the renowned Skytrax World Airline Awards. 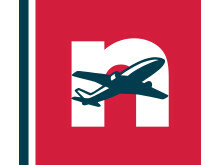 Norwegian is continuing its UK expansion with a new direct service from London Gatwick to Rhodes taking off this weekend – just in time for a sunshine break. 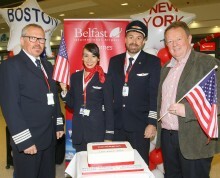 Low-cost airline Norwegian will begin its transatlantic expansion from Edinburgh Airport today with the first of three new routes to the US east coast taking-off.